45: The number of (job) vacancies at Red Cross Flanders at the moment. The organisation doesn’t only need socially dedicated volunteers but also true professionals, like executive and management functions. 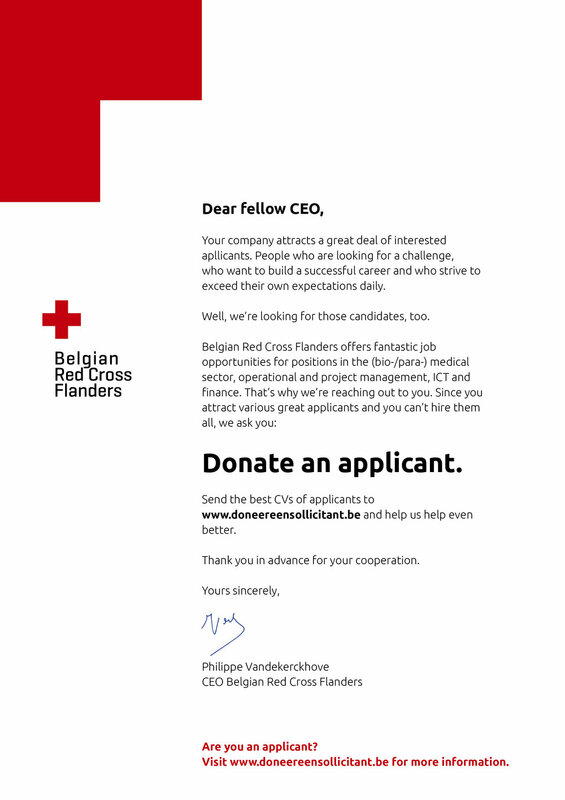 Since most applicants tend to fall under this first category, Red Cross Flanders has difficulties to fill its vacancies. The open letter didn’t go unnoticed. In the first 24 hours after publication, the national news picked up the story resulting in primetime coverage on radio, blogs, print and TV which led to several companies such as security group G4S promising a structural collaboration. We are sure more will follow soon.